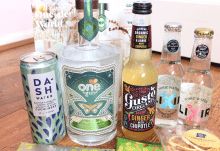 Gin is my favourite type of alcoholic beverage and it makes the best base for a range of delicious cocktails! If you’re also a fellow Gin lover, you must try the Craft Gin Club subscription box which has become famous in the UK because every month, you’ll receive a FULL-SIZE bottle of artisan Gin! 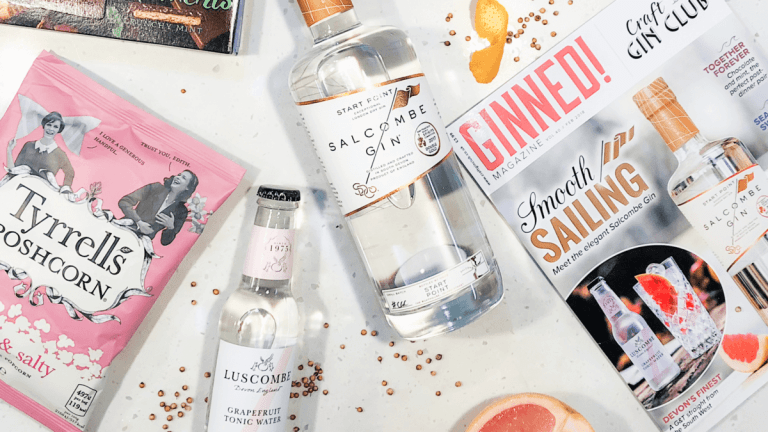 This month’s full-size beauty is very special because it’s an exclusive just for Craft Gin Club members! Distilled in the heart of London by the City Of London Distillery, this exquisite blend is called Six Bells with a 41.3% alcoholic volume. As you can see by the colour of the liquid in the beautiful bottle, this Gin bears a yellowish hue thanks to the inclusion of real Sweet Oranges and Lemon Rind which gives the Gin a deliciously fruity flavour. Accompanying the oranges and lemons are a mix of botanicals which include Juniper, Coriander, Angelica Root, Liquorice Root and Fresh Grapefruit. It’s no surprise then that the minute that you open this bottle, your nose will be greeted with a zesty and ripe aroma, whilst on the palate, you’ll taste all of those juicy fruity notes, as well as some more subtle hints of Vanilla, Sweet Pepper and Lemongrass. 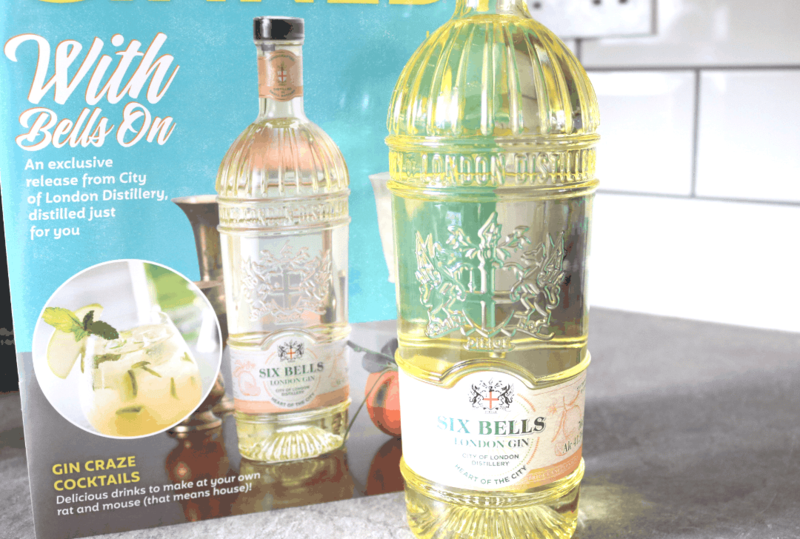 Six Bells is an incredible Gin that will take pride of place in any Gin lovers drinks cabinet! 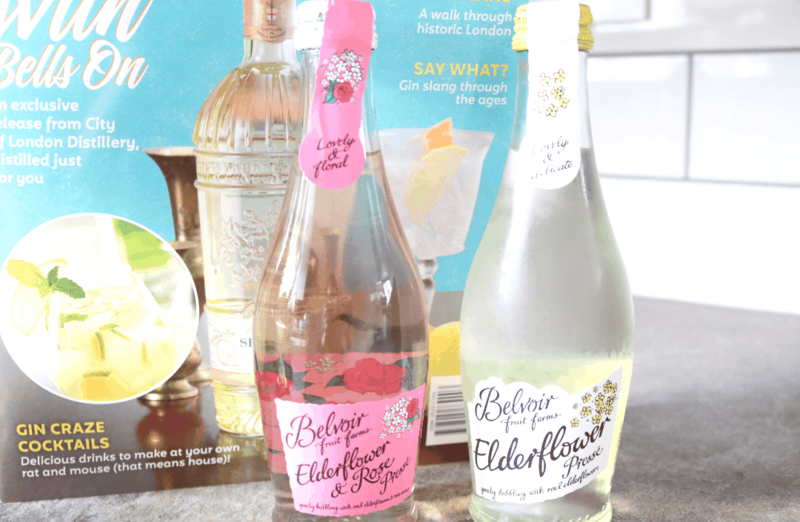 To mix things up a bit, Craft Gin Club have forgone the usual tonic accompaniments this month and instead included two lovely bottles from Belvoir Fruit Farms Presses range. These two flavours are Elderflower & Rose, and Elderflower, and both go incredibly well with your favourite Gins. It’s really nice to try something different as I’ve often seen these drinks in the shops but never would have thought to have included them as a mixer in a cocktail. 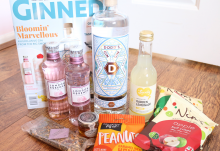 To complete this month’s Craft Gin Club box, there’s a brilliant variety of ‘snacks’. 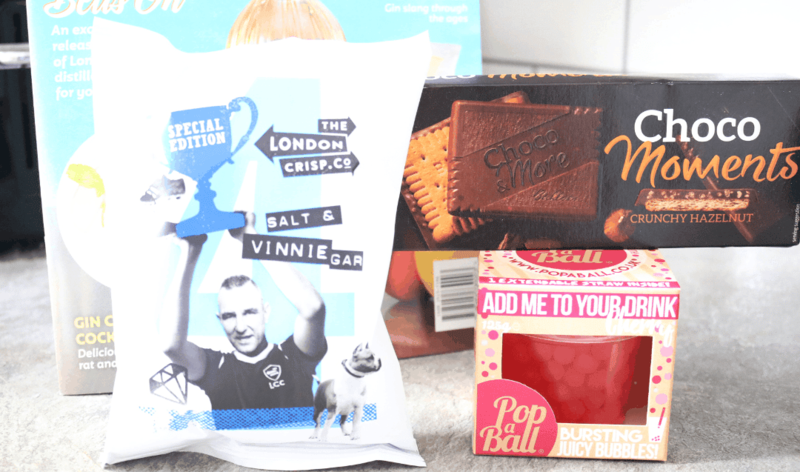 From London Crisps, there’s a bag of their British classic, Salt & Vinniegar flavour, a packet of Bahlsen Choco Moments in Crunchy Hazelnut (these are amazing! 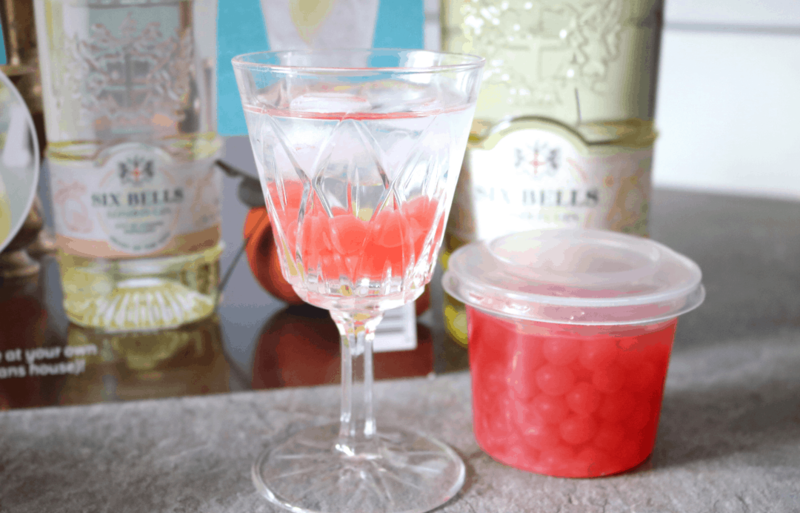 ), and an interesting Pop a Ball in Cherry flavour which are small fruity balls that you can add to your cocktails. 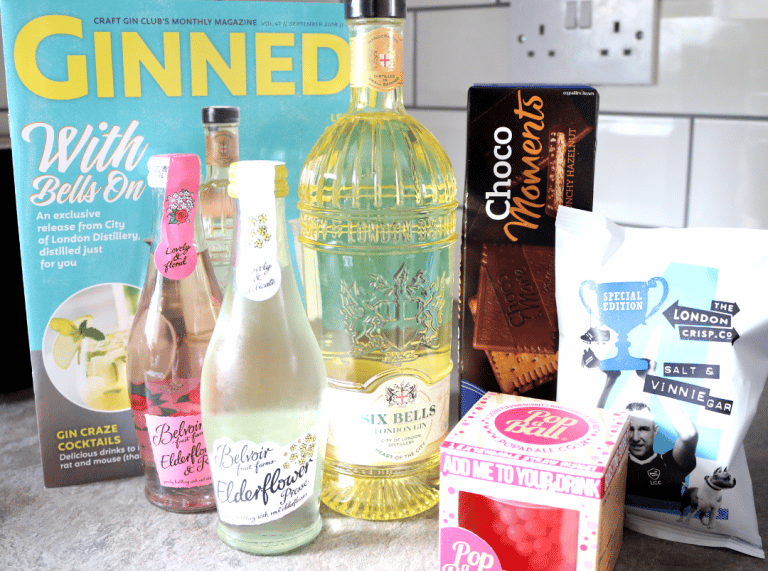 I have really enjoyed September’s box and it’s been a lot of fun serving friends some of the Six Bells Gin with a little of the Belvoir Elderflower Presse with some Cherry Pop a Balls! 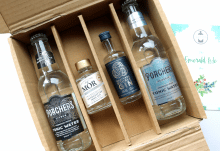 Brilliant box from Craft Gin Club with an exceptional exclusive Gin and a lovely range of drinks and snacks to go with it!